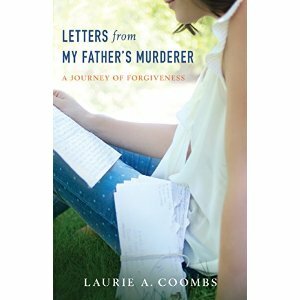 Laurie Coombs’ ‘memoir “Letters from My Father’s Murderer – A Journey in Forgiveness” opens with the details leading up to and the aftershock of the tragic death of her father, a murder victim. Devastated, but determined. Laurie went on with her life; finished her college education, married her fiancé, Travis, and began a family. On the surface things looked well, however, Laurie was experiencing a paralyzing anxiety and depression. Laurie walked away from her family’s church as a teenager, her skepticism left her broken and angry. As the hatred of her father’s murderer heightened she became obsessed with questions of justice and a spirit of bitterness. Responding to a friend’s invitation, Laurie, Travis, and her girls visited a nearby church. Although still skeptical, Laurie returned to the church week after week. She experienced a deepened awareness of the possibility of healing from her emotional and mental symptoms through faith. Jesus offered peace and forgiveness. Her hunger for truth led to her redemption, personal peace and a heartfelt passion to share her story. Laurie’s journey of forgiveness led to a definite step of obedience to connect with the murderer of her father. Her process of forgiveness and healing led to corresponding with Anthony, her father’s murderer. These letters are recounted in the story of God’s working in their lives through the process of forgiveness, redemption, and reconciliation. Coombs’ writing is articulate, well organized, and authentic. I came away with a deeper awareness of the emotions felt by the survivors and the bitterness evidenced in victims who have lost loved ones due to tragic circumstances. “Letters from My Father’s Murderer” is timely and relevant with an important message for the families who are grieving in response to the tragedy of crime, accidents brought about by others, and those losing loved ones while in the service of our country. Urban Assault – The Word on the Street introduces a new standard for defending the faith described by JD Morgan as the “Urban Apologetic.” In a bold proclamation, Morgan challenges the Church, its leaders, and individual members to recognize the crisis-call to evangelize the inner city. Urban Assault – The Word on the Street is written with conviction, is credible in analysis, and provides plausible, workable solutions for making an impact on the opportunities, theological relevance, and civil responsibility. 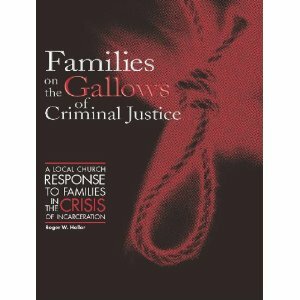 Morgan informs readers of complex root causes that have created the urban ghettos which are resulting in crisis in the inner city across America. Morgan is a visionary, a leader, and an evangelist who has rallied around him a team of men and women dedicated to join in a movement of those who are willing to leave the safety of the sanctuary to go out into the streets and meet the people at the point of their needs. The testimonies, passions, and solutions of some of these called-out ones are included in Part II – The Calling, and in Part III – The Called. In the late 90’s I operated a Christian bookstore in San Leandro, California. An invisible demarcation line delineated San Leandro as a suburb of urban Oakland. Geographically I was considered suburban. My passion and purpose for ministry was urban. I envisioned extending my ministry by reaching into the urban community with the Gospel message, while providing a service to individuals and the churches in both communities. At our first meeting JD Morgan and I shared our dreams and visions across a counter in my bookstore. In the years since, I have admired James for his perseverance, for his constancy in the faith in times of adversity, and for his integrity as a minister of the Gospel. 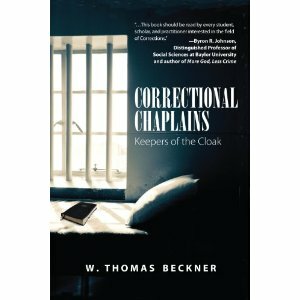 I was humbled when asked to contribute a chapter in this book about my experiences while working behind the scenes for a faith-based organization ministering to men and women behind prison walls. I count it a privilege to have had a small part in bringing this book to fruition. Urban Assault – The Word on the Street has an important message for every American. Book Review: Gangster to Doctor by Ray A. Ransom, PH.D.
By: Ray A. Ransom, PH.D.
“Gangster to Doctor” is Ray A. Ransom’s true life story. Ray’s story reads like a definitive novel of the south. Ray was born turning the tumultuous years of political unrest in the late 1950s. His earliest memories include discussions overheard in his home regarding racial tension, Martin Luther King, Jr., and the assassination of Malcolm X.
Overcoming unimaginable hurdles Ray became vitally influenced through his involvement in school integration in the 1960’s. Ray made a promise to his grandmother at the age of seven to become a doctor. This commitment became the driving force and Ray’s life purpose. A purpose that took turned into an amazing journey before reaching its achievement. As a teenager Ray became a martial arts master. At age twenty Ray was already a father raising three children. A year later he was Florida’s youngest real estate broker. At the same time he was establishing himself as a man to be feared. He took upon himself a form of street justice as a result of being betrayal by trusted partners and his mistrust of law enforcement agencies. Ray became a millionaire by his twenty-fifth birthday. A series of encounters with the law forced him out of real estate resulting in his becoming a drug-dealing gangster. In time he was on the top of the Division of Organized Crimes list, indicted on fifteen federal counts, and sentenced to serve sixteen years in prison. During his time in prison Ray earned a B. A. degree, an MBA, and a Ph.D. degree. This fulfilled the commitment he made to his grandmother to become a doctor. 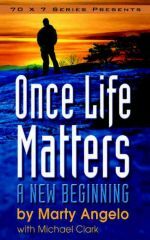 Ray’s writing is engaging, written with purpose, and highly informative. He warns the reader of the results of bigotry, racism, injustice, and needed social reforms. Today Ray draws on his life experiences to coach and educate his readers on the risks of misdirected pursuits and their consequences. Ray’s life is a testimony of the higher purpose and plan of God for Ray. During his imprisonment he changed the thousands of prisoners to follow a better path. He has contributed to prison reform, promoted proactive programs and training for at risk youth. “Gangster to Doctor: The True Life Story of a South Florida Gangster who Became a PH. D.” is a powerful account of poverty to riches, crime to prison, purpose and principle.